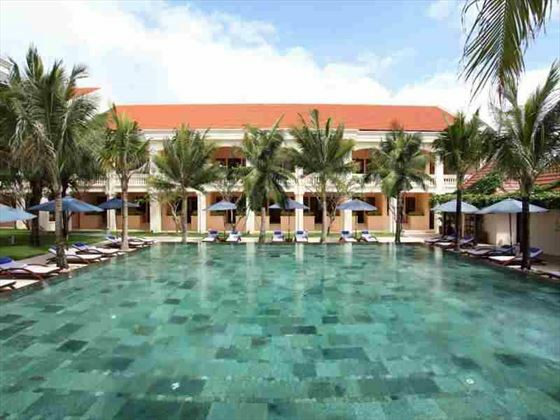 This resort is nestled on the banks of the Thu Bon River, within walking distance of Hoi An. 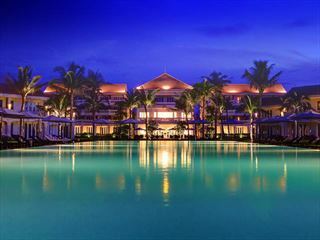 Da Nang International Airport is just over 20 miles out of resort. 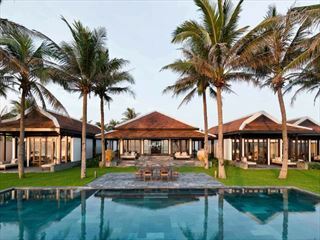 Deluxe Rooms - choice of queen-size bed or twin singles, furnished outdoor porch, bathroom with shower, comfortable living area and garden pool views; suitable sleeping arrangements for two adults and one child or three adults. Deluxe Balcony Rooms – around the same size and style as Deluxe Rooms with an upper level location for superior views from the private balcony. 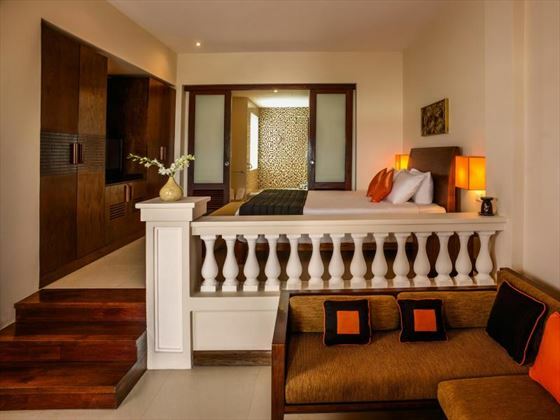 Junior Garden View Suites – larger than rooms mentioned above with furnished porch and bathrooms with either stand alone shower or sunken bathtub. Junior River View Suites – same size and features as Junior Garden View Suites with the addition of river views from the furnished outdoor porch. 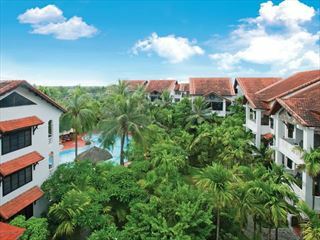 Anantara River View Suites – around double the size of accommodation mentioned above with upgraded amenities, a furnished balcony with swing chairs, upper and lower level living rooms, one king-size bedroom and superior views over the river. 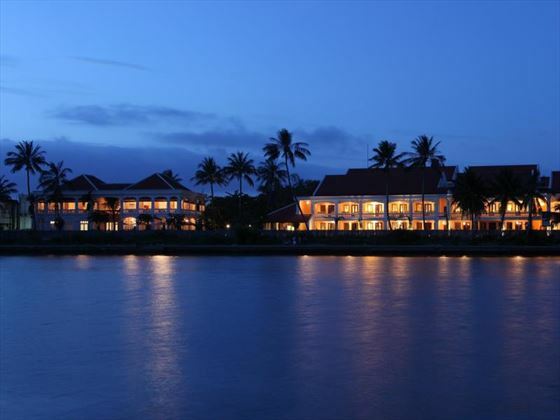 Lanterns – breakfast buffet and a la carte evening meal overlooking the river and featuring the best in local dishes as well as steak and seafood specialities. 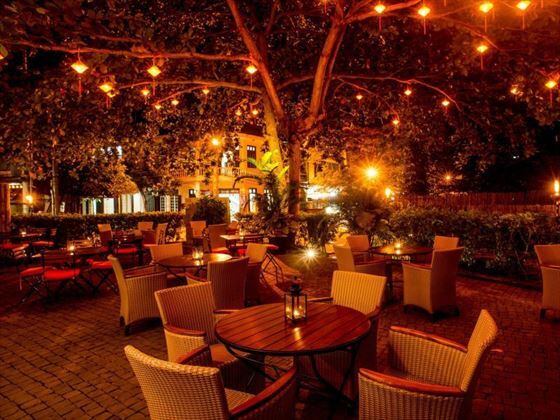 Heritage Bar – good choice of wines and beers to accompany pizzas, burgers and tapas plates within a laid back colonial style bar. Riverside Café – French style meets Vietnamese charm with afternoon tea, cakes and local fare providing lunchtime sustenance. 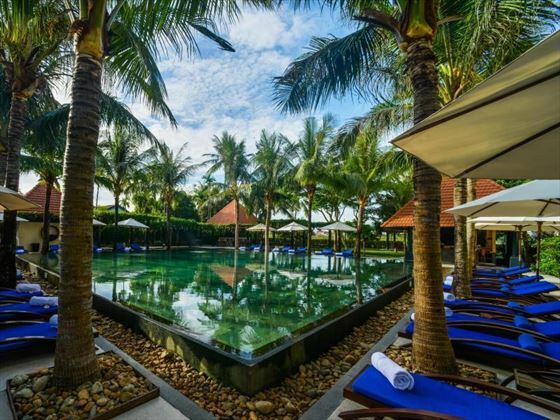 Reflections – cocktails, refreshments and crispy duck rolls by the pool. Dining by Design – take your meal in your room or at the setting of your choice as you choose where to dine for an extra special bespoke treat. You are required to provide a valid Wedding Certificate or copy at time of booking and check-in. Honeymoons must take place within 1 year of marriage date.